Kids of all ages will appreciate the extra effort you go to to acknowledge their special day. 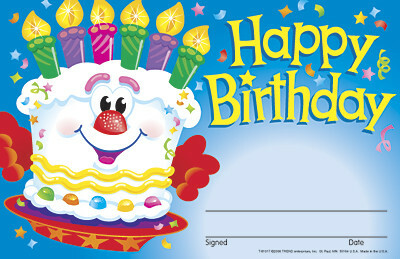 This comical birthday cake character delivers a cheerful "Happy Birthday" message. Ideal as school certificates or for kids clubs.